Ostracion cyanurus (Ruppell 1828), the Bluetail Trunkfish. Western Indian Ocean, Red Sea, Gulf of Aden, Africa's eastern coast. Here's a beautiful male in Egypt's Sharm in the Red Sea. 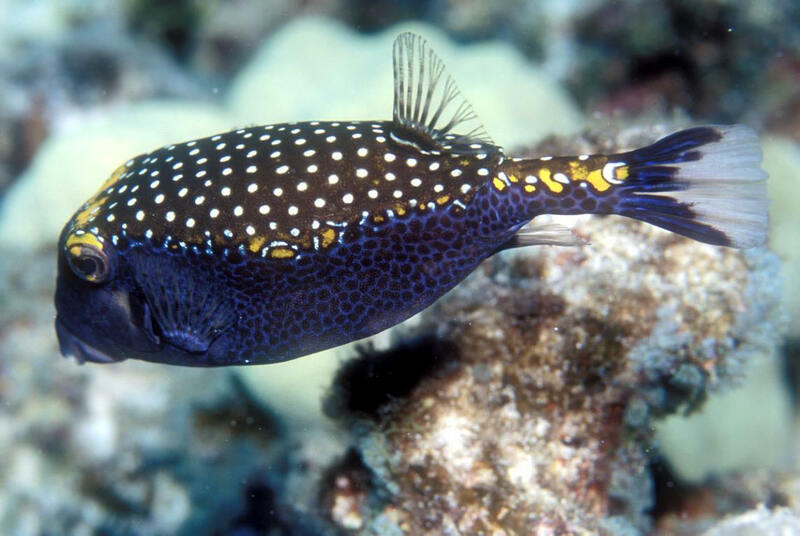 Ostracion meleagris Shaw 1796, the Blue (male), Black (female) or Whitespotted Boxfish. 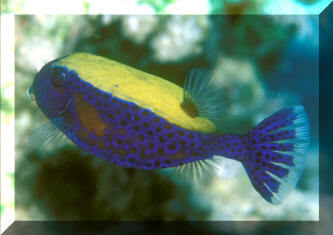 Vying with the common Cowfish, Lactoria cornuta, for most commonly offered species in the family. Like other (demersal) Boxfish species, this one needs to be well fed... on the tank bottom, not the surface or mid-water. Take care with aggressive feeding tankmates. A female here in Hawaii. Ostracion meleagris Shaw 1796, the Blue (male), Black (female) or Whitespotted Boxfish. Vying with the common Cowfish, Lactoria cornuta, for most commonly offered species in the family. Like other (demersal) Boxfish species, this one needs to be well fed... on the tank bottom, not the surface or mid-water. Take care with aggressive feeding tankmates. A female here in Mauritius. Ostracion meleagris Shaw 1796, the Blue (male), Black (female) or Whitespotted Boxfish. Vying with the common Cowfish, Lactoria cornuta, for most commonly offered species in the family. 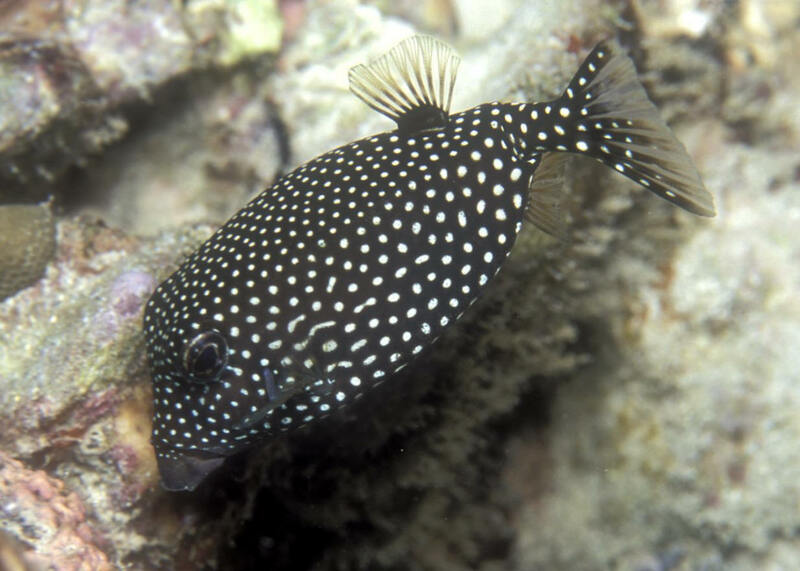 Like other (demersal) Boxfish species, this one needs to be well fed... on the tank bottom, not the surface or mid-water. Take care with aggressive feeding tankmates. A male in Hawaii.